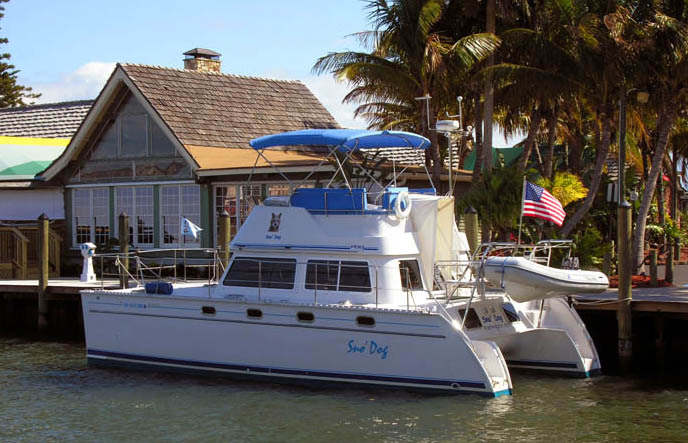 We have decided to head for the Keys this winter rather than to the Bahamas. Nancy wanted to be a bit closer to her mom who is recovering from heart surgery. 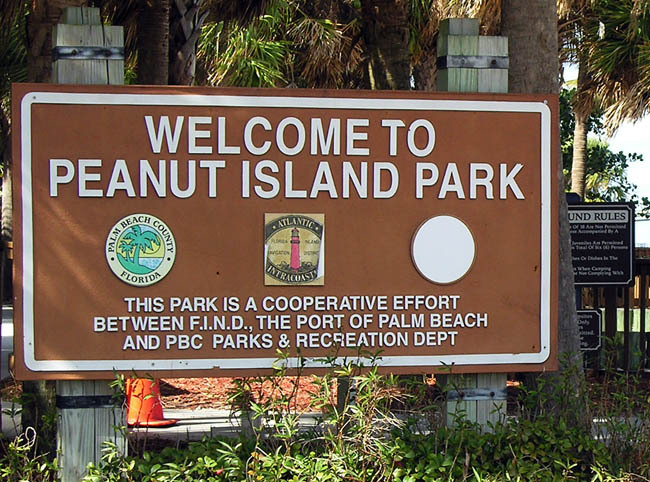 We also wanted to meet up with my daughter who will be in North Miami Beach for a Yoga conference next week. 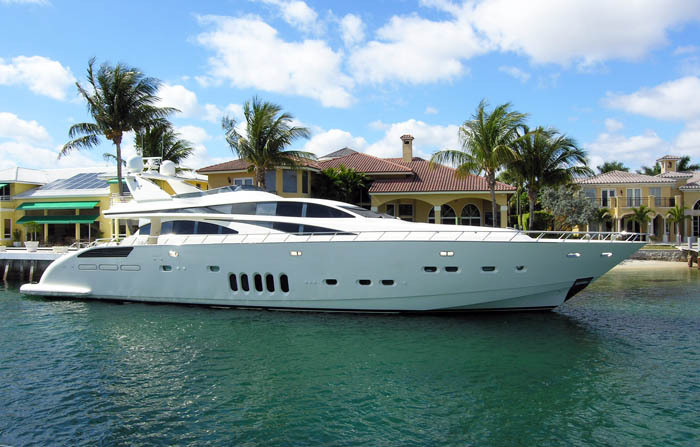 Plus, it's a chance to check out the Miami Boat Show. 02/10/09 - 10:15 AM - Dep. 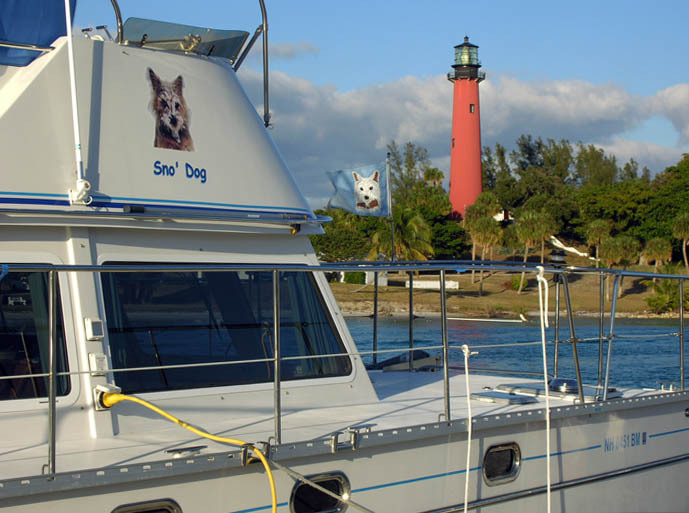 My daughter & husband and kids (ages 1 & 3) arrived tonight and stayed with us aboard Sno' Dog for 3 days while they attended Yoga classes at the nearby Kovins Conference Center. 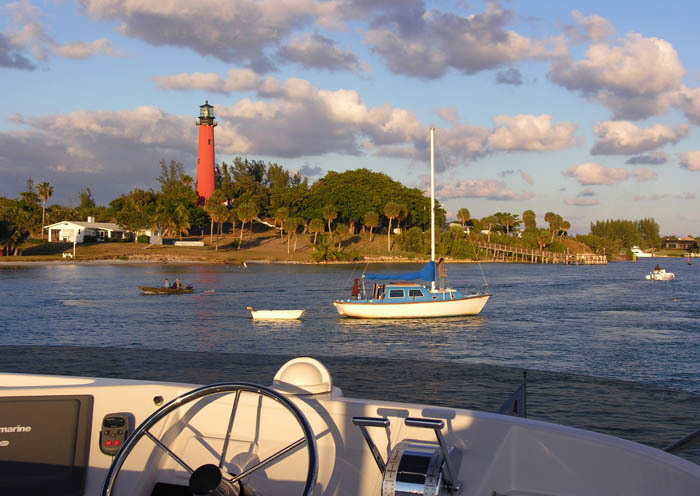 By dinghy, it was a 5-min ride, by car, a 15-min drive from our dock at Haulover Park. A very busy, (and cozy, with 6 people aboard) 3 days! 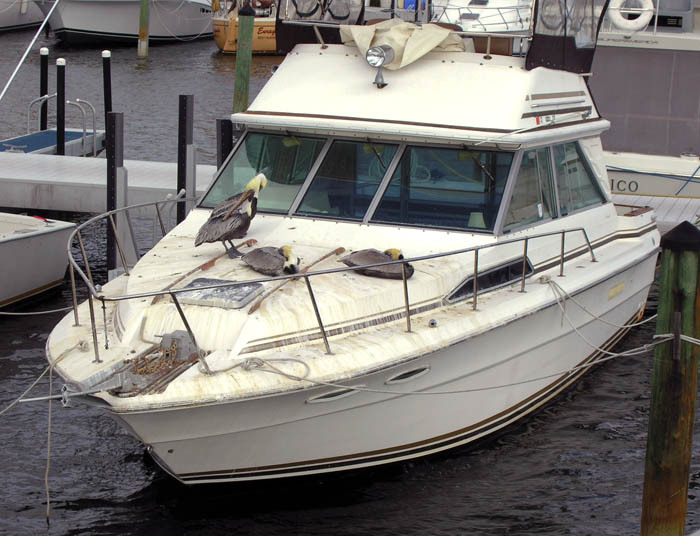 Pelicans onboard in Lantana - click photo to see mess! Gotta love that Art Deco style! 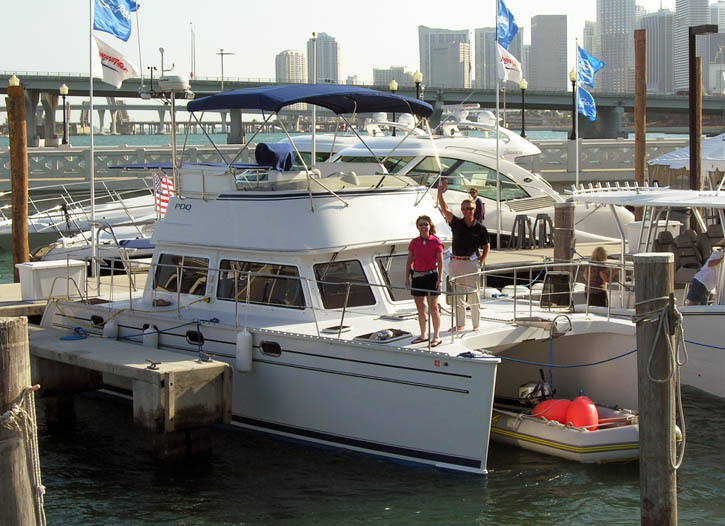 Enroute, we stopped by the Miami Boat Show and said hello to the RhumbLine crew aboard Heron. 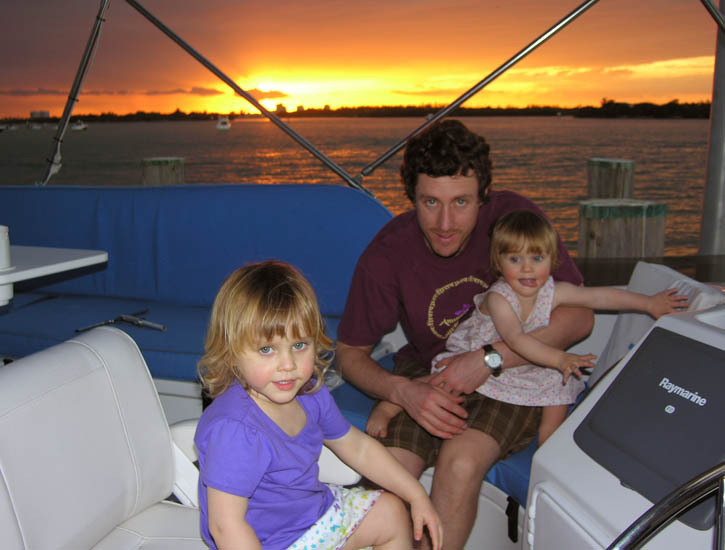 Also, at the Sailboat show we said hi to Rob Poirier aboard an Antares 44. It was the last day of the show, seemed pretty quiet. 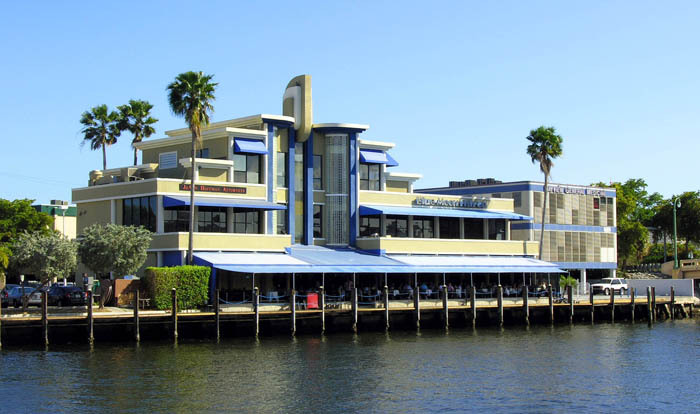 Coconut Grove, FL - great place! North Miami Beach... "More bars in more places!" 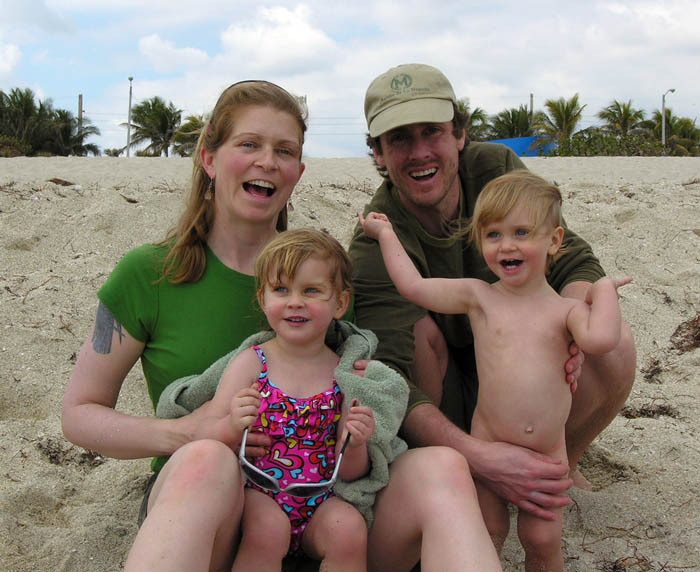 My daughter Charlotte with kids & husband on the beach. Charlotte celebrated her 34th birthday during our visit. Naturally, many photos were taken during the three-day visit of daughter Charlotte and her two adorable daughters. So many, in fact, that I had to create another page for them. If you'd like to see more family pics, click here.